Cardarine (GW- 501516) is a chemical which possesses several bodybuilding and health benefits. However, most of these purported benefits have not yet been backed up. 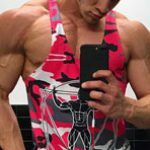 This chemical may in fact have the ability to significantly boost fat burning and metabolism, increase muscle growth and more significantly prevent the occurrence of obesity. Like every other chemical, Cardarine has side effects and risks that are usually overlooked. We have tried to exhaustively examine the various uses and side effects of Cardarine in this article. Going by its origins, Cardarine is a chemical that was researched and birthed by GlaxoSmithKline with its several potential benefits to the blood vessels, diabetes and of course the heart. Due to our somewhat modern non- active lifestyle, there is almost usually a very high risk of metabolic problems arising, such problems could include inflammation, heart disease and diabetes. In a bid by scientists to discover a way to increase physical endurance and speed up fat burning, PPAR- delta pathway was then researched. 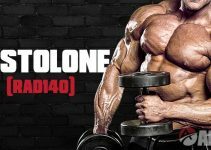 The activation of this path way has the ability to drastically improve fat burning, energy, muscle building, endurance and can also help diminish lipid levels in the blood. In fact, the PPAR- delta path way is bonded to and is activated by Cardarine. A huge level of PPAR- delta exists in the muscles and it aids in activating several genes vital for the use of energy. Activation of the PPAR- delta pathway possesses the potential of playing a very key role in muscle building, improvement of heart health, drastically curbing inflammation and improving metabolism. Thus, focusing Cardarine in this pathway seems like a very rewarding move. The issue however is that scientists all over usually refer to this chemical as a ‘failed exercise mimetic’. This is largely due to its rather unfortunate cancer- inducing side effects. 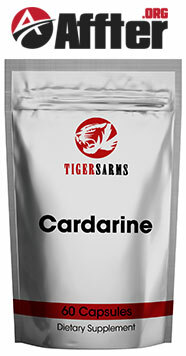 It is vital to note that Cardarine is not a SARM. Also, it is not legal, nor has it been approved for any form of use in humans. Cardarine was firstly majority researched for this purpose. The PPAR- delta pathway aids in activating several genes which are necessary for burning of fat. In recent time, a whole lot of human studies have been able to shed a somewhat new light to the fat- burning benefits of Cardarine. In a study carried out on 13 men who had belly fat and also a poor cholesterol profile, Cardarine was able to reduce fatty acids, VLDL proteins and triglycerides. It was able to work by forcing the liver to on its own get rid of much more VLDL particles. A much more lower doses of 2.5mg/day was used for a period spanning over 6 weeks. In a separate small study of 12 non- active volunteers, Cardarine was able to increase blood HDL, while placebo on the other hand have reduced it. In fact, it was able to boost the use of fats as a reliable energy source. The activation of carnitine genes and fat burning is likely the reason behind this. In an experiment carried out in 6 overweight volunteers, Cardarine was able to reverse the symptoms of the metabolic syndrome. In addition, it was able to achieve this without causing any significant damage. This was probably carried out by increasing carnitine in muscles and also fat burning. It was able to lower liver fat by over 20%, insulin by 11%, VLDL by 26%, triglycerides by 30%, LDL by 23%. The daily dosage of GW-501516 used was 2.5 or 10 mg. The cycle period was over 2 weeks.. Moreover, GW-501516 was able to prevent the activities of inflammatory substances, through the PPAR- delta pathway activation in fat tissue. This could then further help with obesity- induced resistance of insulin. 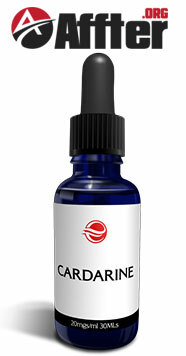 In an animal study, Cardarine was able to protect brain vessels from damage and oxidative stress. In addition, GW501516 was able to help maintain normal blood flow in the brain. Even though GW-501516 was not tested, PPAR activators was able to boost the development of nerve cells. Cardarine was able to reduce kidney inflammation in mice. This suggests that it just might be able to protect against kidney disease. Moreover, it was also able to drastically reduce the activity of all the genes linked to kidney disease. With the activation of the PPAR – delta path way, Cardarine was able to increase the blood- vessel relaxing nitric oxide levels in mice. This nitric oxide helps to boost healing and improve blood flow. After levels of Cardarine was administered to both animals and humans through various tests, the following side effects were discovered. It increased cell death in liver cells. GW-501516 caused liver damage in mice.